You will need an Insurance Replacement Appraisal if you want to insure your jewelry against loss, theft or damage. Most Insurance Companies require a written jewelry appraisal in order to provide insurance coverage. This document establishes the coverage amount of your policy, and if a loss occurs, the description will also be used by the insurance company to replace the item with a “like kind” of item. This is why the appraisal should be prepared by a qualified independent appraiser, who is a Graduate Gemologist, has been trained in jewelry appraisal theory, and has extensive experience in the jewelry industry. Gemological description of stones, including measurements and estimated weights. Quality descriptions for stones using industry accepted standards. Any detected treatments or enhancements to the stones. Metal type and purity, including weight. Jewelry condition and construction method. Digital photograph showing design and style elements. 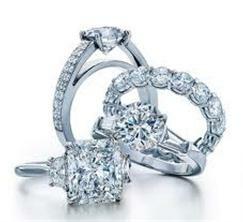 ​A well prepared Jewelry Insurance Appraisal should be usable for a period of up to 5 years. On high value items, or items that are subject to rapid changes in value, updates should be done at 3 year intervals, or when advised by your insurance agent or jewelry appraiser. Expert Jewelry Appraisers are available by appointment only, at your preferred location. Please call to schedule an appointment.